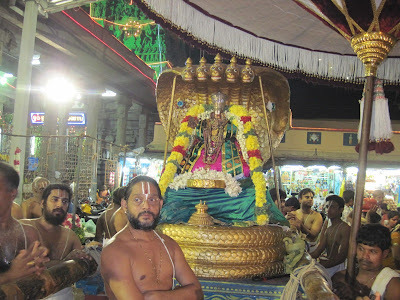 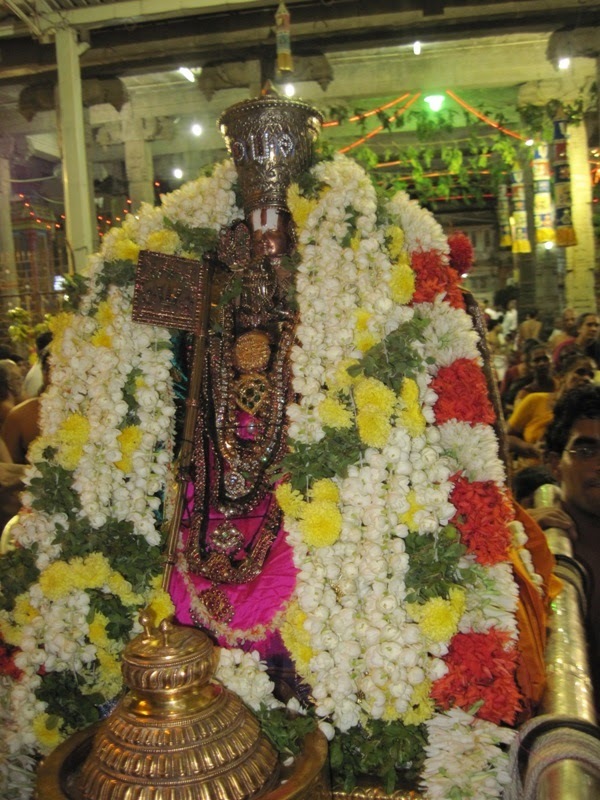 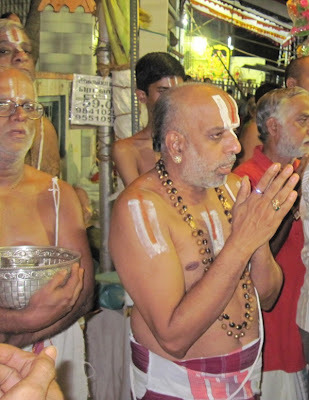 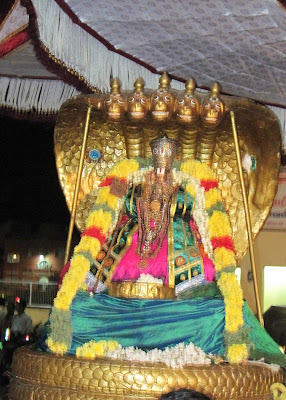 12th Oct 2012 – Today is the second day of Swami Manavala Maamunigal Uthsavam and at Thiruvallikkeni, num Acharyar ‘Poyyilatha Maanvala Maamunigal’ had purappadu in Sesha Vahanam. 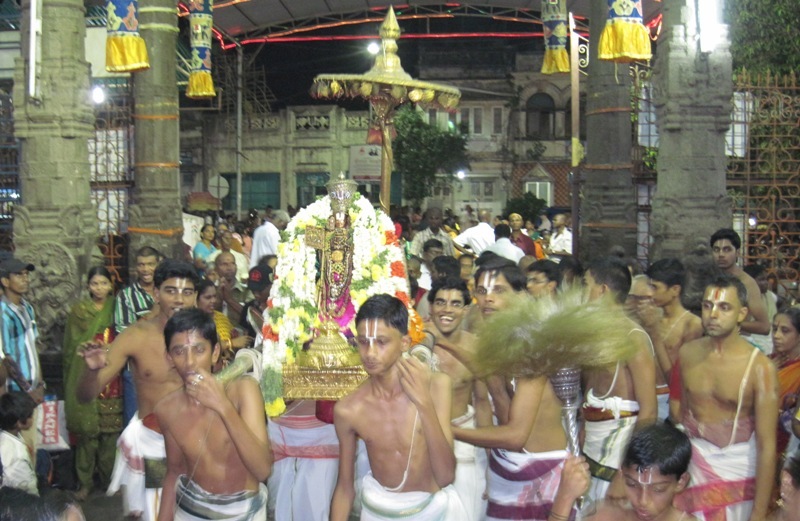 On all days, there will be mangalasasanam in all sannathies. Here are some photos taken during the purappadu of Swami Manavala Mamunigal.